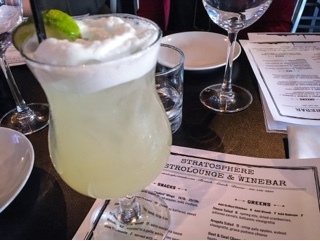 Situated in a quaint upper middle class neighbourhood, Stratosphere attempts to differentiate itself from the fine dining and casual bars in the area by offering locals a middle ground. Ultimately, they’ve curated a short comfort-food filled menu at affordable price points and launched in July 2015. 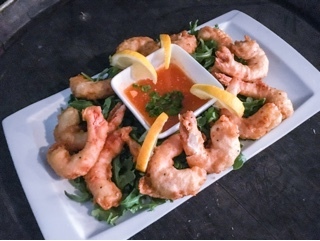 With a thick Guinness batter that’s generally synonymous with British fish and chips, their beer batter prawns ($12 for 8 pieces) were crispy and covered a fair-sized just cooked through shrimp. Given the thicker coating, the sweet chili sauce could be thicker as it hardly stuck to the batter; luckily, it was still sufficiently flavourful. Although olives aren’t my favourite ingredient, Stratosphere’s tapenade ($7; smaller bowl that’s normally served with a full pita) was good, incorporating a salty yet not overly fermented taste. The dip was surprisingly fresh and would go well with a cold crisp beer. 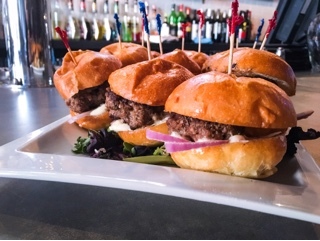 The beef sliders ($12 for 3 sliders) were fantastic. The super soft egg bun soaking up the juices from the huge sirloin patty. The creamy sauce and onions topping the sliders were simple and let the beef flavours dominate. Since we had such a great experience with the sliders, a larger version was in order. Out of the four burgers, the strip loin ($18) incorporated a leaner beef but was still just as tender. 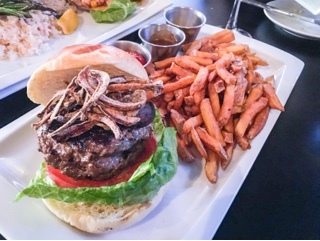 There was no chance the bun could contain the hefty patty and ample toppings (crispy fried onions, mushrooms and other fixings). The hot fries were also good, I couldn’t stop myself from dipping just one more into the gravy. 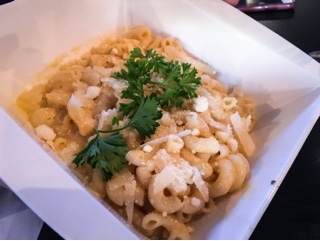 Stratosphere uses three cheeses in their mac ‘n’ cheese ($15): apple smoked cheddar, mozzarella and grana padano. However, the garlic was so pungent that it masked any of the three and rendered the dish to be gooey macaroni in a creamy garlic sauce. Nonetheless, the dish was decent and you’ll likely love it if you’re really fond of garlic. 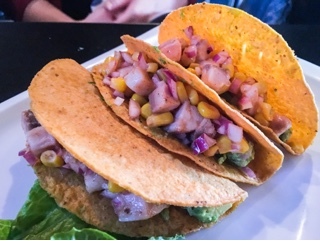 I was momentarily taken aback when the ceviche fish tacos ($12) arrived in hard crispy shells, having expected soft corn tortillas. Yet, after biting into one, the crispiness contrasting against the soft mahi-mahi chunks works. 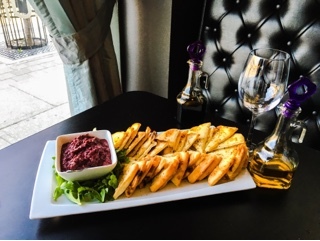 Eating them can get a bit messy and perhaps changing the dish into a “chip and dip” type appetizer would be better. With a large bar and speakeasy atmosphere, one would think Stratosphere takes their liberations seriously. Indeed, the restaurant infuses alcohol in house in order to concoct interesting cocktails. The citric infused silver gin fizz ($8) was light and refreshing, the citrusy gin slightly sweetened and diluted with soda for sparkle. When I first heard the restaurant’s name, Stratosphere, I envisioned solar systems and stars… something of a cosmic nature. So, when the cool New York jazz club vibe greeted us, it was a pleasant surprise. 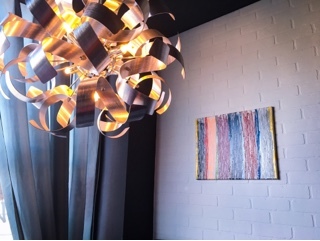 Owner Eleni Makedona explains that her 8-year old daughter named the place, hoping that while eating at the restaurant, diners would feel they’re leaving the world behind, even for a short period. What a great desire; after all, don’t we all want to just leave our worries behind, once in a while?